Hello there. Christmas is quickly approaching! Are you ready? This might help! 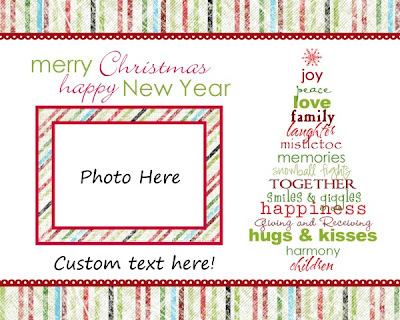 I created a few Christmas card templates for you to use if you like! All of these are in the Costco Greeting Card size which is 7.5x6. The great thing about using Costco for your custom photo cards is you get the envelopes too and at a great price! 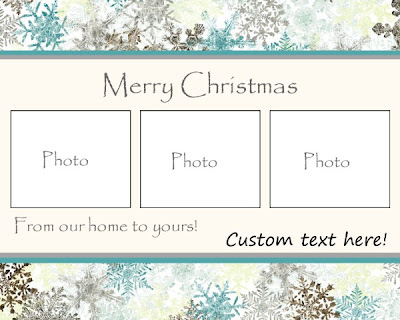 Each card was created using digital kits from Summertime Designs (thank you Summer) and all are included in the download. 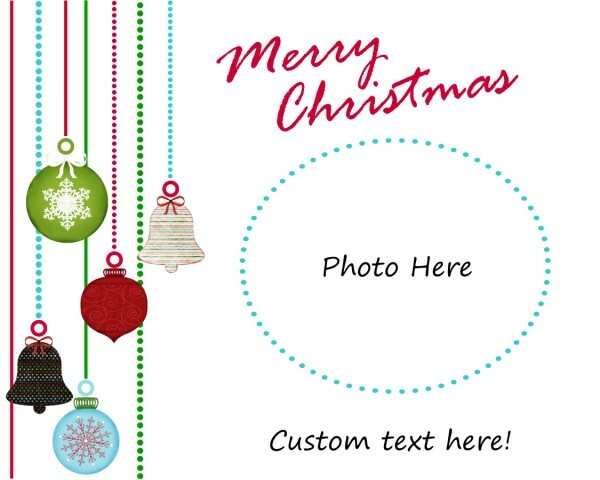 Each has a sample that shows where you can add a photo and wording. 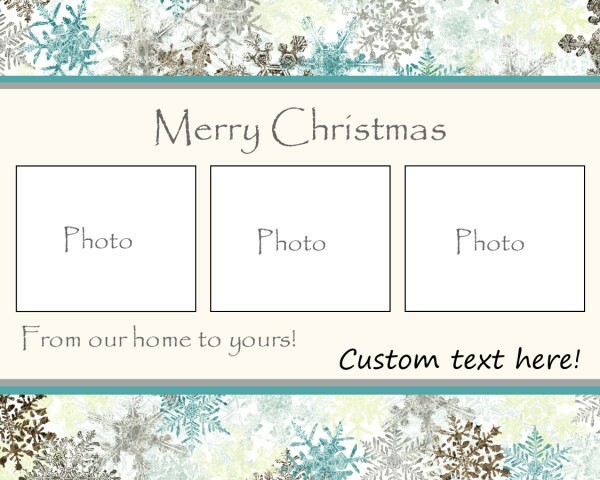 To create your card you will want to open the "png" files in a photo editing program (like photoshop or comparable). Simply add a photo and a message if you like. 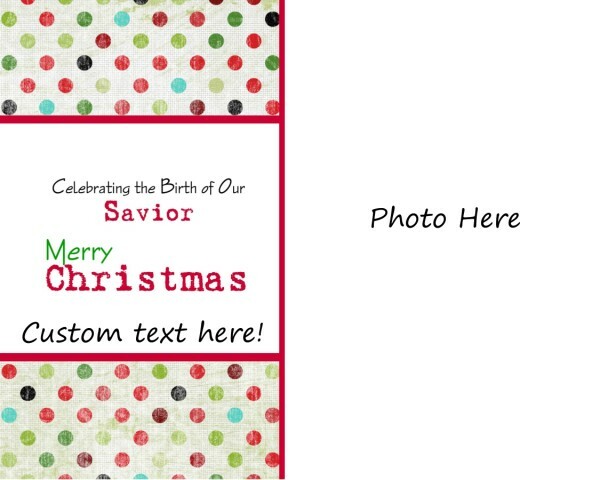 Then save as a "jpeg" and send over to Costco for printing. I highly suggest you use the "matte" or "lustre" finish instead of the "glossy". Would love to know if you use them! Let me know if you have any questions. Thank you! Can you send me the png. image of the red scalloped border in the first card? My e-mail is photogal2014@gmail.com. Thanks! That is actually part of a freebie kit from Summertime Designs. You can pick up the kit here http://summertimedesigns.blogspot.com/2008/11/giving-kit.html. The red scalloped piece is part of one of the ribbons so it is connected to the stripe section. Anyway you'll find it there. And she has so many lovely free kits! Go check it out if you haven't already and tell her Cap Creations sent you over. Are there any other places that print in this size besides Costco? We're not members! I love the card designs and would love to use the first one for our cards this year. 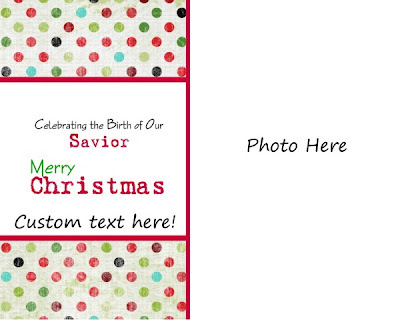 These are great Christmas Card templates! Thanks so much! I'm a day late and a dollar short. I just made a photo card w/ Photoshop elements and sent 100 to a one hour shop. Yours are sooo adorable. I going to download these for next year. Thank you!!! saw you on tatertots and jello link party. These are great Christmas cards! Hi! Thanks for the cards! I linked them up to my "holiday cards" post too! We always do a "funny" photo card. This year we took a traditional family Christmas picture except we (my husband and 2 and 4 year old boys) were wearing mustaches. I'm trying to make a card to print at Costco that says "Hairy Christmas" instead of Merry Christmas. I love your top sample...I have photoshop but don't really know how to use it...is their a simple way to change Merry to Hairy? Thanks! 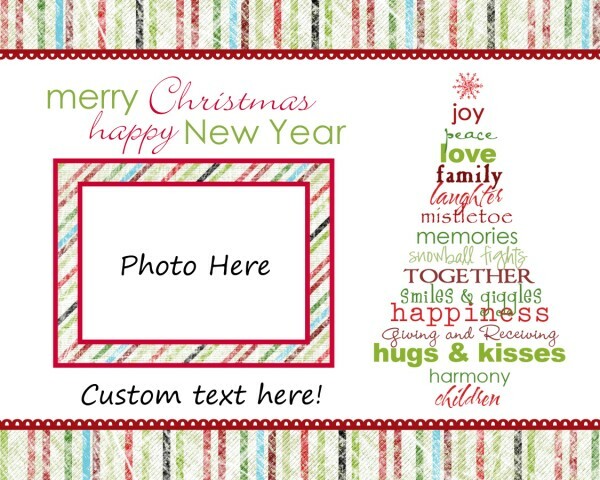 Well, I just used your top template for our Christmas cards this year. I'm picking them up at Costco on Thursday and am hoping it all turns out well. Thanks! These are so cute! I tried to use one and the resolution was only 72 ppi. Am I doing something wrong?